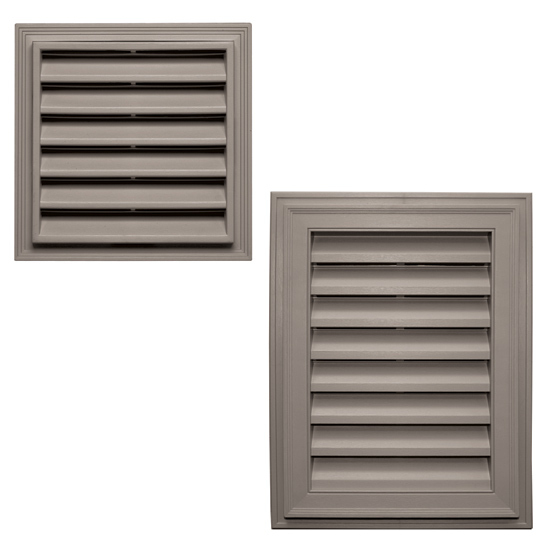 With their wood grain finish and sharp distinctive features, our gable vents provide added architectural detail to any home. Our patented snap-on trim ring reduces installation time. Choose from a wide selection of styles and colors.